UK retailers are really pushing the boat out for Black Friday, a time that is ever-growing in importance when it comes to promotions and other heavy discounts. One such is PC Specialist, who specialise in user-configured desktop and laptop systems tailored to your unique needs. Currently four pre-configured systems are on sale at the system integrator, with other promotions potentially in the pipeline for the Black Friday weekend. First up there is the Apollo S1, a mainstream gaming desktop that incorporates a great CPU and price/performance-oriented GPU that's no slouch either. There's a whole lot to love in this system. AMD's top-end Ryzen 7 2700X is a superb 8-core 16-thread CPU, and it's well supported with 16GB of 2400MHz DDR4 RAM. NVIDIA's GeForce GTX 1060 6GB is a more than solid 1080p offering that isn't at all hampered by the CPU choice, and an M.2 SSD (even one limited to SATA III speeds) is a very welcome addition. Plus, if you decide to add a bit more colour to the system, you can take advantage of the ample side panel window to show it off. The Apollo S1 is available for £999 inc. V.A.T., down from £1099. Next we'll move to laptops, starting with the 15.6” Optimus IX. 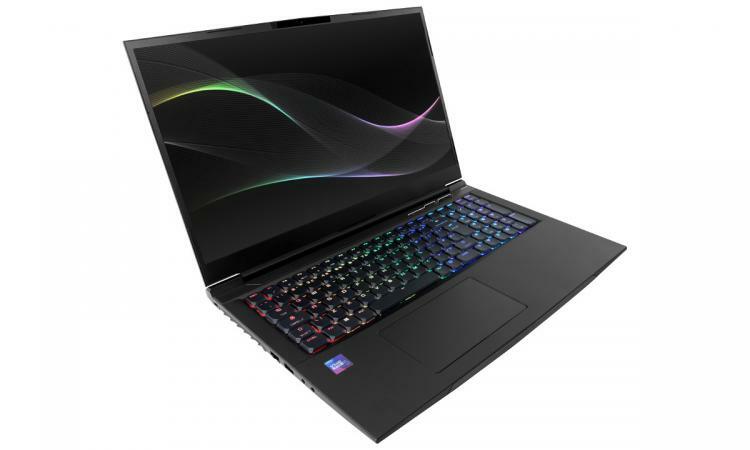 Coming in comfortably below £1000, it's a curious mix of hardware specifications for a more affordable gaming laptop. Immediately the eye is drawn to the Optimus IX's 144Hz panel and Core i7-8750H, two features of a laptop you'd be surprised to see at this price point. They're joined by a GTX 1050Ti, which should immediately make you think of the huge range of enormously popular eSports titles available today such as League of Legends, DOTA 2 and CS:Go. It's in these titles were the frames rates can really test that 144Hz 1080p screen. Once again an M.2 SATA SSD is great, and like the Apollo Windows 10 Home is supplied as standard. The Optimus IX is available for £975 inc. V.A.T., down from £1055. Moving up the laptop capability chart, we come to the 17.3" Recoil II. Without a doubt this model is a significant step up over the Optimus IX. Once again a 144Hz 1080p panel is the centre-piece of this system, but this time it's paired with NVIDIA's GTX 1060 6GB for just that little bit more graphical horsepower. More RAM is also welcome - 16GB being almost ideal for Triple-A games today - while an Intel NVMe M.2 SSD is a bonus that will make your system's OS responsiveness just that little bit zippier. 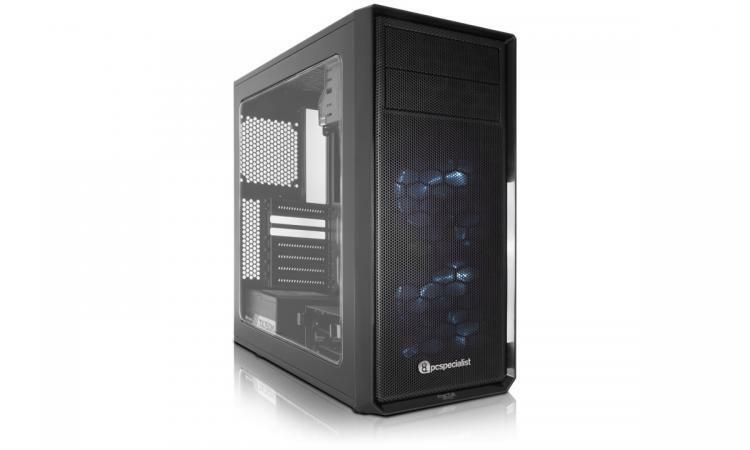 This week PC Specialist have it on sale at £1299 inc. V.A.T. 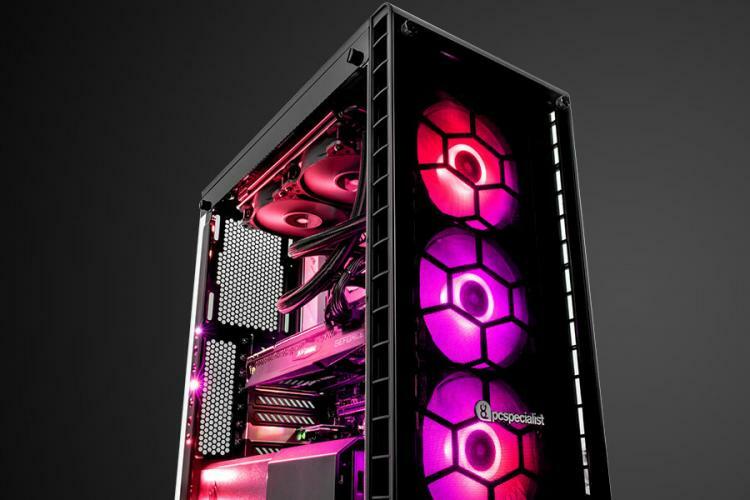 Last but not least we arrive at the Vertex Alpha, a desktop system that could be your entry-point into NVIDIA RTX gaming. The system specs once again read like its been put together by someone focussing on an ideal balance of performance components that ekes as much value as possible out of every Pound. The Core i7-9700K is a superb gaming CPU, and naturally 16GB of DDR4 RAM is now standard for a mid-range system intended to offer smooth and high frame rate gaming. But the system's X-Factor has to be the inclusion of NVIDIA's GeForce RTX 2070, a graphics card that is some margin from the typical 'affordable' option. Not only capable of excellent performance at 1080p and 1440p, it's also compatible with GeForce RTX technologies including real-time raytracing and deep learning super-sampling. These technologies are just starting to roll out in games, and may be a cornerstone of the next generation of gaming. 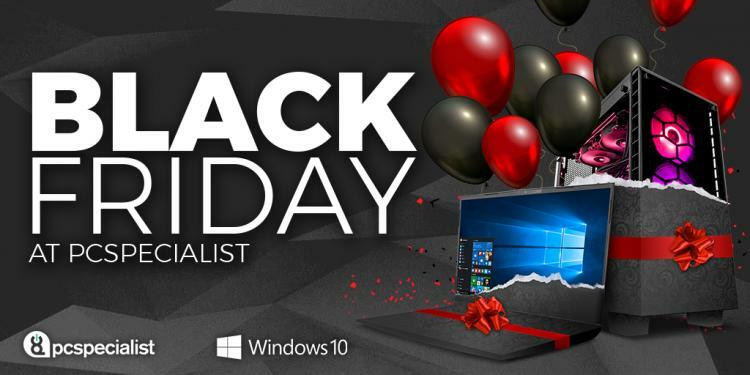 Unlike PC Specialist's general range, these Black Friday promotion systems have limited configuration options and are only available for a limited time. However the retailer may well have more systems or component upgrade options on sale later this week, so if any of these don't quite meet your needs it's absolutely worth checking back during the same period for updates.